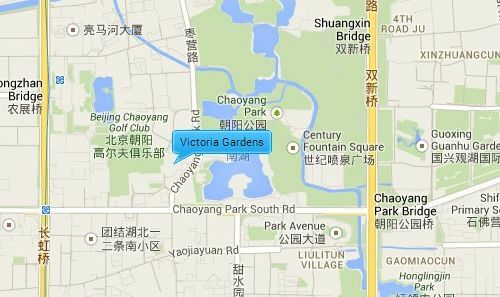 Victoria Gardens has a total construction area of 50,000 square meters, and a total land area of 11,000 square meters. The compound consists of 217 luxury apartments and 15 penthouses that range from a 125sqm 2 bedroom layout to a 279sqm 4 bedroom layout, including a penthouse layout. The penthouses include large roof-top patios with striking views of the city. Most apartments have balconies, and there are two apartments per elevator. Set away from the main road, it is a short walk to Chaoyang Park west gate. There is no playground, but the courtyard garden is traffic free.